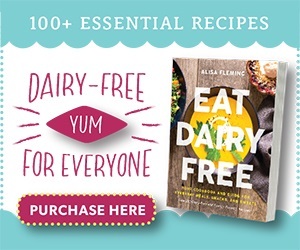 Millions of people enjoy a healthy lifestyle free from milk products, and thanks to Go Dairy Free, the best-selling dairy free cookbook and guide, you can join them without sacrifice. 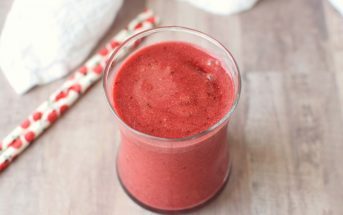 Whether you are contending with a milk allergy or sensitivity, avoiding lactose, seeking lasting weight loss, looking to permanently resolve acne, interested in increased energy and disease prevention, or taking the leap from vegetarian to vegan, Go Dairy Free will empower you to make the transition with ease. Over 225 Delicious Dairy-Free Recipes with numerous options to satisfy dairy cravings, while focusing on naturally rich and delicious whole foods. 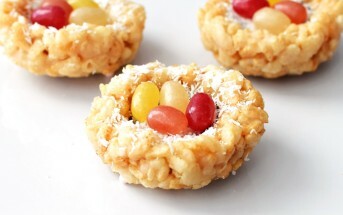 There are multiple recipes in Go Dairy Free for “old favorites” such as lasagna, enchiladas, ice cream, and macaroni and “cheese,” in addition to everyday recipes for other foods that frequently harbor milk ingredients, such as snacks, breads, soups, and desserts. 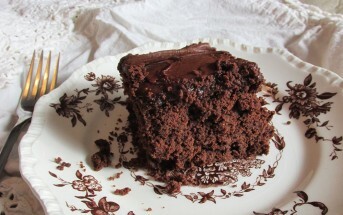 Of course, special events have not been forgotten in Go Dairy Free. 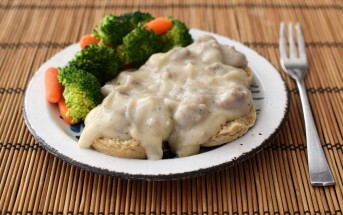 For the holidays, recipes like the Condensed Crème of Mushroom Soup and Sweetened Condensed Coconut Milk will work seamlessly as substitutes in those time-tested recipes, while the Coco-Nog, Cheese-Free Scalloped Potatoes, and Pumpkin “Cheesecake” recipes may become new traditions on your seasonal menu. For birthdays and celebrations, take your pick from the Simply Wonderful White Cake, Yellow Birthday Cake, or Wacky Chocolate Cake, to be mixed and matched with the assorted frosting recipes, including Fudgy Chocolate, “Buttercream,” Cashew Chai, and “Cream Cheese.” To round out the dessert plates, you can opt for a dollop of the Cool Whipped Coconut Cream or a scoop of the Very Vanilla Ice Cream topped with Magical Chocolate Shell or some Sweet and Silky Butterscotch Sauce. Grocery Shopping Information from suspect ingredients lists and label-reading assistance to food suggestions and money-saving tips. A Detailed Calcium Chapter to identify calcium-rich foods and supplements and understand other factors involved in building and maintaining strong bones. An In-Depth Health Section that explains dairy, details the signs and symptoms of various dairy-related illnesses (including lactose intolerance, milk allergies, and galactosemia), and thoroughly addresses protein, fat, and nutrient issues in the dairy-free transition. Everyday Living Tips with suggestions for skincare, supplements, store-bought foods, restaurant dining, travel, celebrations, and other social situations. Infant Milk Allergy Checklists that go into detail on signs, symptoms, and solutions for babies with milk allergies or intolerances. Multiple Food Allergy and Vegan-Friendly Resources including a recipe index to quickly reference which recipes are vegan and which are free from soy, eggs, wheat, gluten, peanuts, and/or tree nuts. 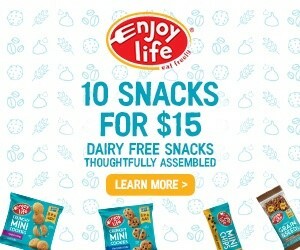 Whether you are new to dairy-free living or have been milk-free for a lifetime, Go Dairy Free has something to offer. 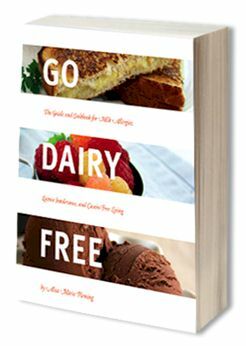 Satisfied customers of this dairy free cookbook and guide include those who are lactose intolerant, milk allergic, vegan, gluten-free / casein-free, family members of those with autism and galactosemia, acne sufferers, pursuing weight loss, and health seekers who are looking for increased energy and disease prevention. Go Dairy Free doesn’t tell you to cut out milk products, it gives you all of the information you need to actually do it! 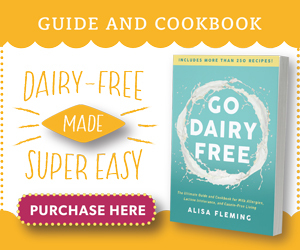 To make it easy for you to access the information you need, Go Dairy Free is available to customers worldwide via the online retailers listed below, and it is also available as an E-Book, which can be downloaded to your desktop in minutes. For information on Wholesale Orders for bookstores, libraries, co-ops, health clinics, natural food stores, and other organizations, please see our Wholesale Information Page.